There may not be a lot of extra space within your apartment, but a recycling bin does not take up much room. If there’s not enough room in your kitchen, start looking in other areas of your home. A recycling bin can even be placed in a hidden area such as a front closet or pantry. It doesn’t matter where it goes–all that matters is that you use it. If your apartment complex does not have a recycling program, you will need to bring your recyclables to a local facility on your own. 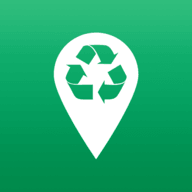 Traveling back and forth to the local recycling center can be time-consuming, which is why it’s a good idea to take turns traveling to the recycling center. Get together with other eco-conscious renters to find out if they would be interested in participating. Then, put someone in charge of creating a monthly schedule that outlines who is responsible for taking the group’s recycling to the local recycling center every week. This way, each person will only need to make the trip to the facility every few weeks, so it won’t seem like a huge hassle. Talk to the property managers to see if they would be willing to place recycling bins in some of the common areas within the apartment complex. One of the first common areas that you should target is the mailroom. Many people look through their mail before leaving the mailroom so they can throw away anything they don’t need. If there’s no recycling bin nearby, all of this junk mail will end up in the garbage instead of at a local recycling center. It’s also a good idea to hang recycling signs near the bins in these common areas. The sign should include basic information on what should and should not be tossed in these bins. This will ensure that neighbors know the appropriate way to use these bins so non-recyclable materials do not end up contaminating a batch of recyclables. Sorting your waste into recyclables and non-recyclables is just the first step on the path towards living a greener lifestyle. Take the next step by committing to buying more goods that are made out of recycled materials. For example, the next time you run out of printer paper, purchase recycled paper so you can support green companies. Buying goods that are made out of recycled materials is a great way to reduce your carbon footprint while living in an apartment. Who says you can’t go green while living in an apartment? There are plenty of ways to recycle while living in an apartment, so you can no longer use your living arrangement as an excuse!